We trained 5,334 wonderful healthcare providers in 2017! We visited 171 practices for onsite training across Australia. Online training also increased in popularity and we provided 150 online training sessions. Increasingly this has been for practices changing software or for new staff. Providing online training for new staff members is now part of many practice’s orientation program as we can teach how to enter quality data which in turn means one less orientation job for the Practice Manager or Principal. I presented at 116 conferences and events (81 flights!). Thank you to those who invited me to speak and to the 1800 clinicians and staff who attended. Bookings are coming in fast for 2018 events so contact me if you would like me to present at your event in 2018. Shoutout also to the thousands of Allied Health Professionals, Nurses, GPs, Practice Managers, PHN and practice staff who attended my 22 Webinars. It was especially great to meet so many allied health care providers and rural and remote practice staff. 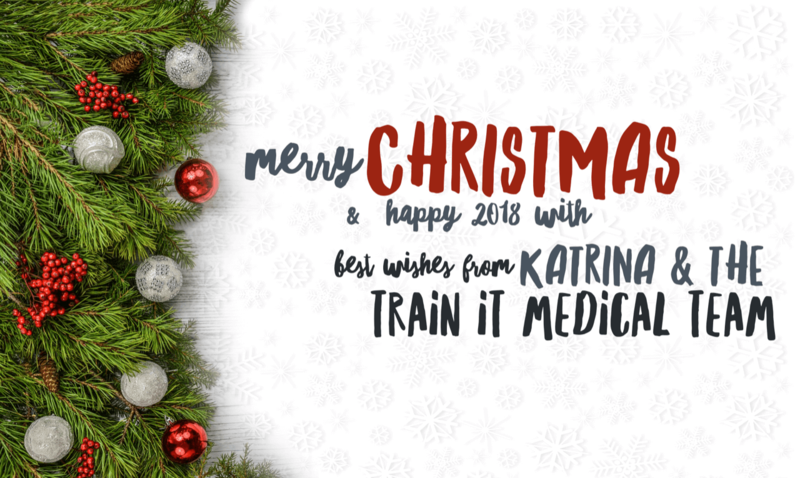 It was also my great pleasure to work with nearly all of the Primary Health Networks this year on a variety of topics including: Healthcare Homes (patient-centred care is my new favourite topic), Cancer Screening initiatives, Data Quality improvements, MedicalDirector, Best Practice & Pen CAT4 software use and of course My Health Record. We also created a lot of customised complex templates and SQL queries. I love that I have so many PHN friends now and a Merry Christmas shoutout to you all! I see the great work you do. Our newly introduced eCoaching service proved to be very popular with PHN’s and practices alike. eCoaching is a cost effective method of providing customised training solutions for practices and PHN staff looking to upskill on particular topics. eCoaching can be tailored to the skill level and needs of the individual attendees and it is especially popular with practices wanting to make improvements in a particular area of their practice (improving recall and reminder systems is currently the most popular theme). Our broad experience and exposure to hundreds of practices (who all work differently), enables us to quickly identify learning and knowledge gaps and suggest improvements to suit the practice. We love to be able to share knowledge and ideas with practices as it often fast tracks practice improvements. We learn from the best and we share. Speaking of sharing we have also created and shared many more free resources this year. Read our previous blogs to learn more. You can also access our latest free resources here and if you aren’t on our mailing list already, click here to receive our latest news. We had the pleasure of working on projects with VACCHO, Allied Health Professions Australia (AHPA), Australian Association of Practice Managers (AAPM), the Australian Digital Health Agency, many PHNs and also health technology vendors, especially in the allied health space this year. As trainers we are continually evaluated and we thank you for your wonderful feedback. Hearing constantly that we help save time and money in your practices and give you the support or confidence to lead practice improvements is what keeps us motivated. We know that 2018 will be another big year with technology change and healthcare reforms – exciting and challenging. We are expecting some major changes with Best Practice and MedicalDirector (think cloud, apps, innovative approaches to delivering care) as well as the My Health Record Expansion program (mid-year) which is something every patient and every clinician in every practice needs to know about. We also have changes to accreditation and incentive payments. Data, innovation and improvements – but more on that next year. Thank you for using our services in 2017. Many of you will have now met my wonderful Senior Trainer and Project Manager, Sue Cummins as she has provided many online services, eCoaching as well as onsite training for many Aboriginal community controlled health services across Victoria and NSW. Huge shoutout of appreciation for Sue and both Sue and I look forward to working with you all again in 2018. Thanks also to the other consultants who have joined us for the larger projects. We wish you all a very happy & healthy Christmas and Happy New Year. Thank you for doing what you do.